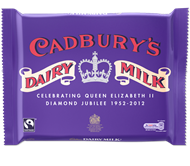 With the Queen’s Diamond Jubilee fast approaching in June we will now start to see lots of memorable products in the shops to celebrate this special occasion. 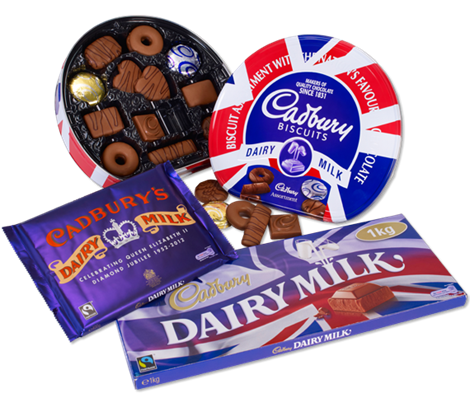 We were really excited to find out that Cadbury Biscuits have launched a limited edition Jubilee range of collectable biscuit tins, cartons and special Jubilee cadbury’s dairy milk! They are available in supermarkets now. Prices start from £1.80. We never need an excuse to have a chocolate biscuit or a bar of chocolate but this occasion certainly causes to stock up on a few. You can choose from vintage inspired Cadburys Fingers Assortment carton or one of our favourites is the Purple, red and white round tin, which we have at the Fuschia studio should we need a chocolate fix! What’s great about the tins as they can be reused after you Jubilee celebration or street party. 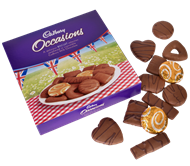 As these are limited edition products get them when you see them as they will be gone as quick as you can eat a chocolate finger! 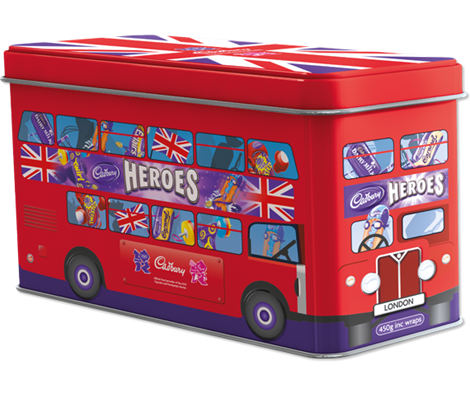 If chocolate assortments are more your thing then these fun Cadburys London bus tins filled with Cadburys heroes are perfect for sharing at a street party or giving as a Jubilee gift. These would also be great to use for the rest of the year for the sporting events of 2012; if you have any left that is! This entry was posted in Party Planning & Inspiration, Queens Diamond Jubilee, Wedding & party Trends, Weddings and Celebrations and tagged Cadburys Biscuits, Cadburys Biscuits for Jubilee celebrations, Cadburys Chocolates for Jubilee and London 2012, Cadburys Heroes London Bus tin, Cadburys jubilee dairy milk, jubilee milk chocolate bars for street parties, Queen Diamond Jubilee Cadburys Biscuit tins, Street party biscuits on May 14, 2012 by fuschiadesigns.